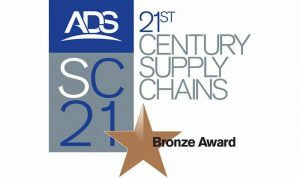 Over the years, SC21 (Supply Chain 21st Century) has established itself as a class-leader in enabling supply chain excellence. It has also delivered millions of euros worth of real benefit to all manner of size of business across the Aerospace, Defence, Security and Space industry. There are over 700 signatories in total in the UK and Ireland, some either on the path to achieving or already successfully having achieved Bronze, Silver or Gold accreditation. Along with many other companies both in Ireland and the UK, Mann Engineering Ltd is putting the processes in place to enable the company to achieve SC21 accreditation. SC21 is a programme which aims to transform aerospace and defence supply chains. It has an industry commitment to focus on delivering a globally competitive supply chain within the Aerospace, Defence, Security and Space sector. Fundamentally, SC21 is a collaborative programme designed by industry, for industry. It seeks to provide a framework which transforms and accelerates the competitiveness of the UK Aerospace and Defence industry, which will help it to sustain and grow. SC21 companies are committed to working together through two key streams to improve efficiency and productively, remove duplication, and lower overheads and costs. SC21 companies are committed to achieving high performance in both Business Excellence and Manufacturing Excellence. Combined with common performance metrics for Quality and Delivery, the results will be a leaner and more effective organisation delivering win/win results within the supply chain. SC21 signatory companies are encouraged to undertake accreditation (e.g. AS9100, ISO9000 etc.) and recognise and accept AS/EN9100 accreditation on the national status report for all industry stakeholders to see. SC21 companies recognise that sustained success in our industry requires positive relationships in all directions. Using the SC21 relationship code of practice companies can identify the level of relationship needed and objectively focus upon the areas that need improvement. What does this mean for Mann Engineering and our customers in the future? We started our own SC21 journey at the end of 2015 as a means of furthering our expertise in precision engineering. Mann Engineering is highly regarded by its customers in relation to component quality and on time deliveries. By adding continuous improvement methodologies we provide value to customers and endeavour to minimise (customer pain) by working together. We want our customers to know that we are striving to deliver the best possible standards instilling confidence, with the knowledge that we are a company that observes and adheres to the highest industry standards. These principles are applied to all customers. We are well aware of the challenges entailed in securing SC21 Bronze award, especially as an SME taking an independent route to gain accreditation. The incentive for Mann Engineering to participate in this journey is the realisation and implementation of SC21 provides undeniable evidence of a precision engineering company ability to provide a world class service. Mann Engineering is under no illusions as to the workload involved in the implementation of the various steps required to attain the Bronze award. From the out-set the workforce have been involved in training days, these explained why the company was entering into the aerospace industry. Followed by information days where personnal (Engineering, Sales, Planning, Purchasing and Production Supervisors) learned how to analyse the vast amount of paper work involved with pricing/scheduling and machining parts for the aerospace industries. While lean programs are still being implemented, SC21 has provided a clear agenda going forward and a specific goal to reach. Using various tools and metrics, we can benchmark ourselves against the “best in class” industry standard. Frequent continuous improvement meetings allowed results to be measured against previous results. The aim is to continue using this formant as it is suitable for us as an SME to implement smaller steps completely, rather than fail at instigating larger intrusive methodologies. Improvements in the daily processes are clear both internally and externally, improvements can be measured through quality metrics and customer feedback. Positive aspects of the Bronze award ideally surface when we engage with potential clients, we can actually demonstrate how good we really are. We couldn’t do this before because we didn’t have the evidence. SC21 accreditation leads to recognition within industry, this was also an incentive to further Mann Engineering’s marketing strategy. Now Mann Engineering is coming to a turning point within precision engineering, its time to develop our management team and create a trained workforce that is fully committed to ensure that the process works. Indeed once this continuous improvement journey has begun there is no turning back. This journey can only be truly appreciated by holders of the SC21 award. Productive working relationships with customers. A strong base for continuous improvement. Working as a team to provide our vision to our existing and new customers. For now Mann Engineering Ltd are focused on attaining SC21 Bronze. This is the beginning of a journey of the companies continual self development.